Step 1 Grate the peel from the lemon (you should have about 1 1/4 teaspoons) and set it aside. Cut the lemon in half and squeeze 2 tablespoons juice into a blender jar. Set aside the remaining half lemon. Step 2 Add the egg, salt, cayenne pepper and Dijon mustard to the blender jar. Blend to combine. In Recipes-list.com we have selected the most viewed recipes from category - Fish and shellfish Quick and easy Sandwiches . Enjoy the best recipes specially selected for you! 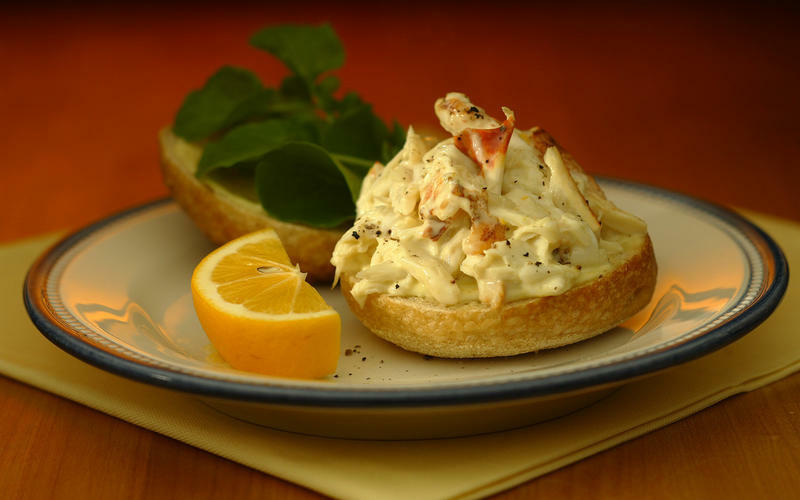 Dungeness crab salad sandwich with Meyer lemon is the right choice that will satisfy all your claims.